Suspended in the air, entwined between the smooth fabric Air Candy will effortlessly climb the silk and present her breathtaking choreography. Dedicated to creating a seamlessly beautiful and graceful choreography that brings a classic aesthetic to any event. Focused on beauty, extreme flexibility and breathtaking drops. This act features dazzling, elegant costumes, stunning body lines and complex acrobatic dance skills. 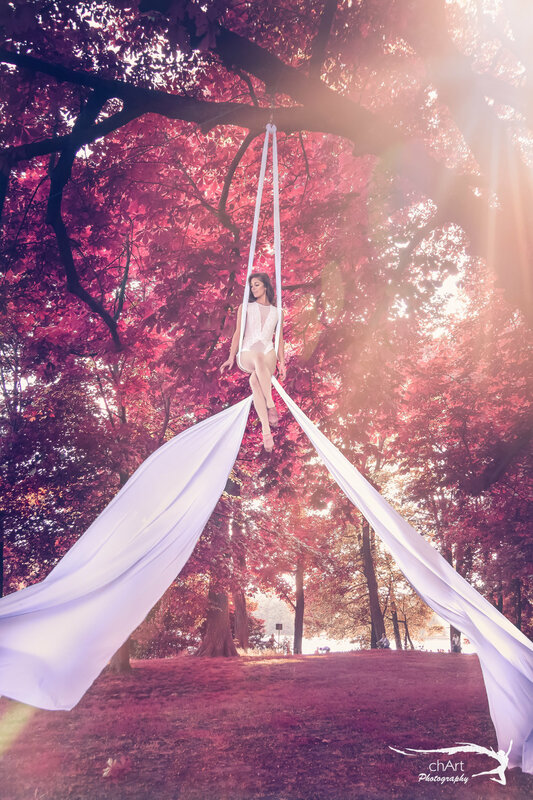 Aerial Silk performance can be a very powerful centre focus for any event, show, festival or product launch. Or to add ambiance and that extra special effect for your special event. Aerial Silk acts can be customized to suit your event. Minimum Height Requirement 6 metres.